One look at my "to-eat" list of Dim Sum joints and to my complete horror... it was getting dangerously low. Man, there are not many places left to try and most of them are in Richmond. Curse you! So I had the decision of heading into the land of driving confusion or do a return visit. I chose return visit... The place? Red Star on Granville. Hey, it is one of my favourites and we've not been there for Dim Sum since 2009. Now, what it lacks in traffic confusion, it makes up for it with congestion inside. 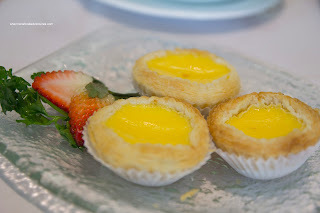 Especially during Dim Sum, the traffic jam in the restaurant can rival anything out on the street. Just trying to make your way to the washroom and/or back to your table can be quite the exercise (especially if you really must go!). Once we did get to our table, it was a tight squeeze as per usual, but at least we got a table. You see, they are super busy and if you do not make a reservation, it might be quite the wait. And yes, we got our table more or less at our requested reservation time. We started with a few kid favourites including the Shrimp Spring Rolls. I'm happy to report my son now eats the WHOLE thing including the shrimp (which makes us do cartwheels because it was a b*tch to remove the filling for him each and every time). As for the roll, it was crispy and full of whole shrimp, which exhibited an appealing snap. We would've liked to see less salt though since there was enough natural flavours including the ample amount of garlic. The kiddies loved the Loh Mei Gai (sticky rice wrapped in lotus leaves) as it was full of ingredients. 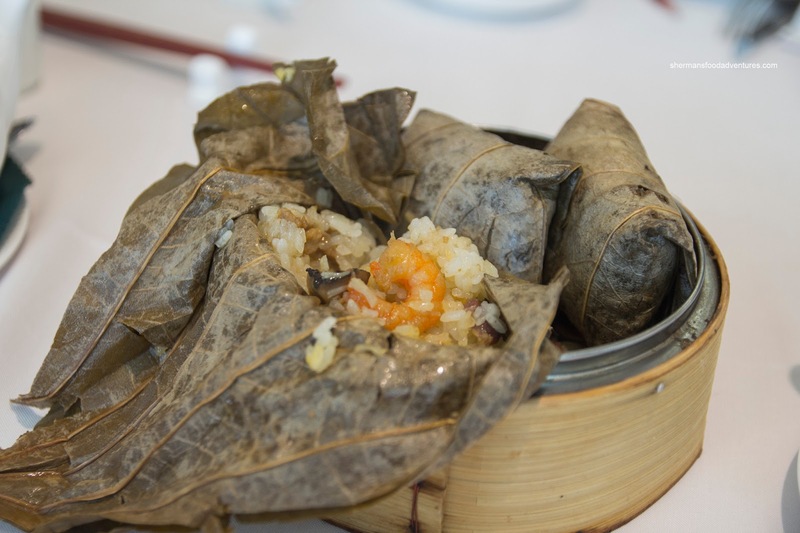 There was almost a 50/50 split between sticky rice and moist ground pork, shrimp and shiitake mushrooms. 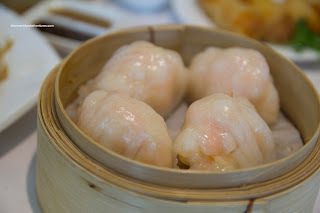 Continuing on the shrimp theme, we had the Haw Gow (shrimp dumplings) and they were quite good. Unlike some other higher-end Dim Sum joints, these dumplings were pretty large. They were stuffed full of whole shrimp which had a beautiful buttery snap texture. However, they were too aggressive with the seasoning as it was on the saltier side as well as having too much sesame oil. As for the Sui Mai (pork & shrimp dumpling), they were equally good. It may not look it in the picture, but there was actually more shrimp than pork which made for a lighter, snappier texture. The pork itself had a nice bounce, yet was seasoned a bit too aggressively. Although, there was a good amount of shiitake mushroom which added another layer of flavour. 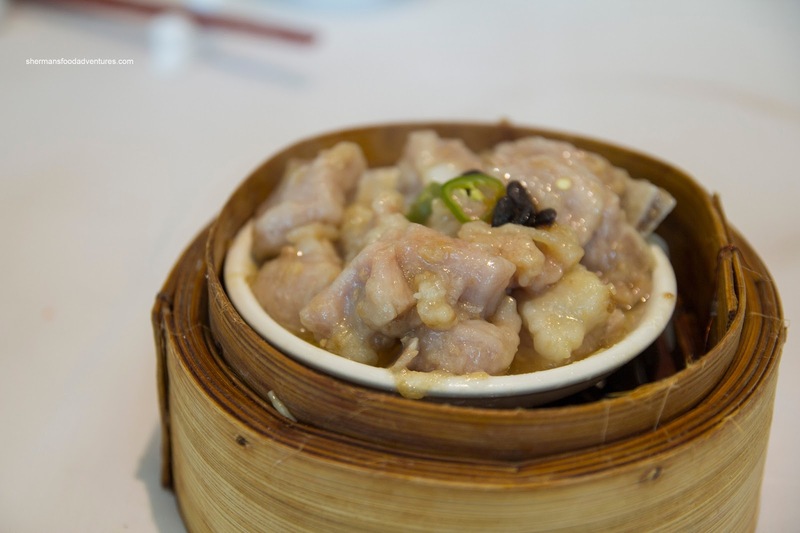 Onto one of my Dim Sum favourites, that doesn't include tripe or feet, is the Blackbean Spareribs. The one here was really well-prepared. The pieces were meaty (with very little cartilage and fat), properly tenderized and flavourful. There was a good bounce texture combined with a garlicky hit. 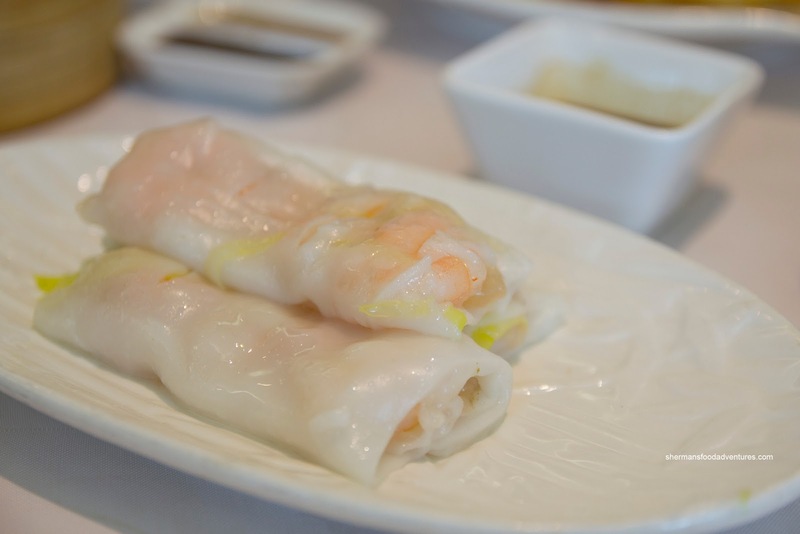 Moving onto another Dim Sum classic, we had the Shrimp Rice Noodle Rolls which featured large whole shrimp with flowering chives. As with all the shrimp so far, these were crunchy. The noodle was almost the perfect thickness where it was soft while maintaining some elasticity. Despite his new found love for shrimp, my son balked at the shrimp rice noodle rolls instead opting for his standby being the Soy-Fried Rice Noodle Rolls. Unfortunately, they really messed up this dish. As you can clearly see, the noodles were hacked up and broken from the careless stir-frying. Usually, to maintain their shape, the proper way would be to pan-fry them without tossing. Disregarding its appearance, the noodles were still nicely textured although a touch salty. 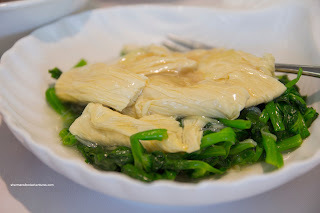 Trying to add some veggies into our meal, we got the Pea Shoots with Bean Curd Sheets. Arriving on a medium-sized plate, while being a really small portion, it really didn't look like a good value. I guess quality made up for quantity in this case where the pea shoots were cooked just enough maintaining a crunch. 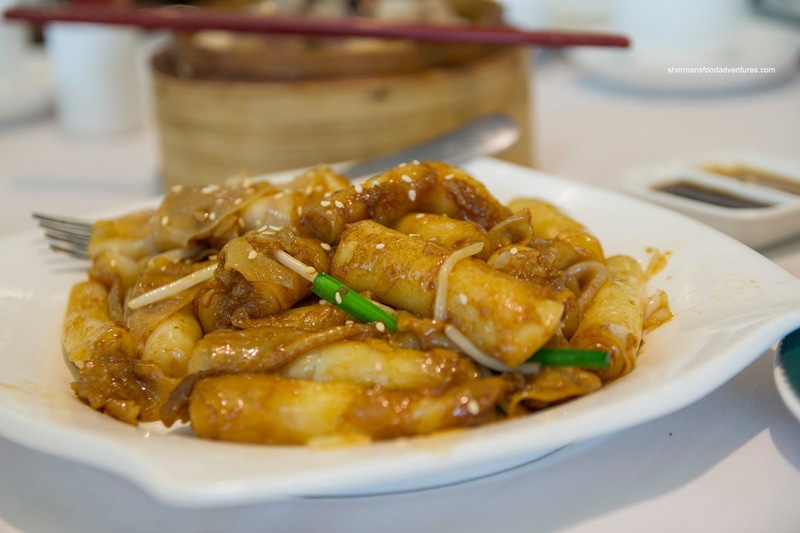 On the other hand, I didn't really like the salty starch-thickened sauce on top. Now a visit to Red Star is not complete without having their BBQ Duck. Why? Well, they have ducks that are specifically raised for that purpose. 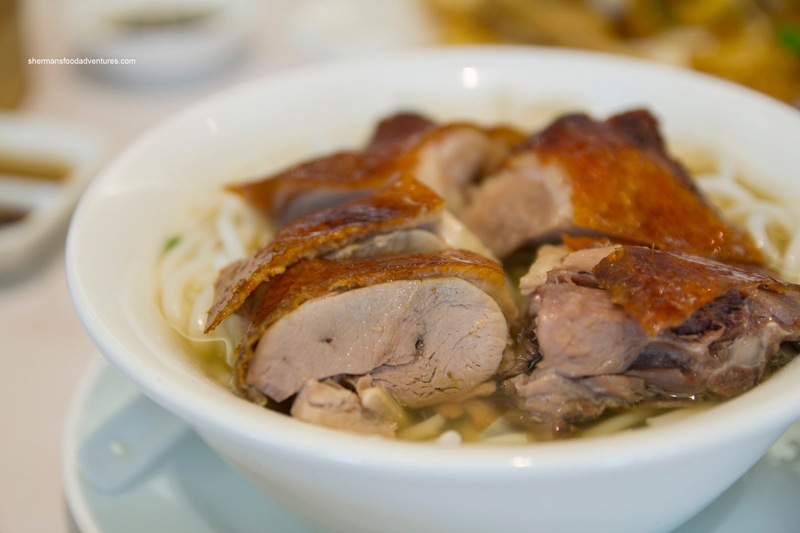 Therefore, these ducks have less fat which bodes well for Peking Duck as well as BBQ Duck. We ended up with the Lai Fun with BBQ Duck. If you look at the picture, there was very little fat underneath the crisp roasted duck skin. Furthermore, the meat was moist and tender. Probably one of the best BBQ ducks in town. 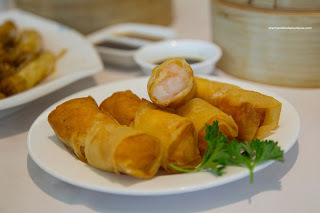 We had a few more items including the Bean Curd Skin Roll and Beef Meatballs. 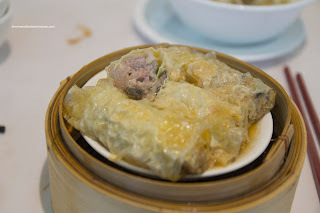 The bean curd rolls were big and loaded with tender ground pork, wood ear mushrooms, shiitake mushrooms and green onion. I liked the addition of water chestnuts as it added a nice crunch. Furthermore, there was enough starch-thickened sauce (which was mild) to keep the rolls moist, while not drowning it either. 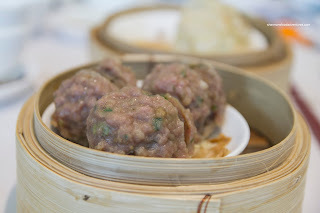 The Beef Meatballs were overloaded with baking soda as we could taste it in every bite. Hence the texture of the meat was too soft. We liked the hit of dried orange peel though. For dessert, we had the Egg Tarts where the crust was flaky and buttery. The filling was soft and just sweet enough. 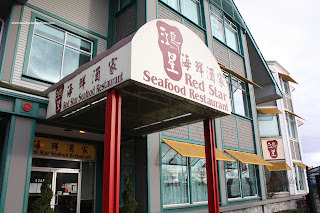 This was a nice end to another solid Dim Sum experience at Red Star. 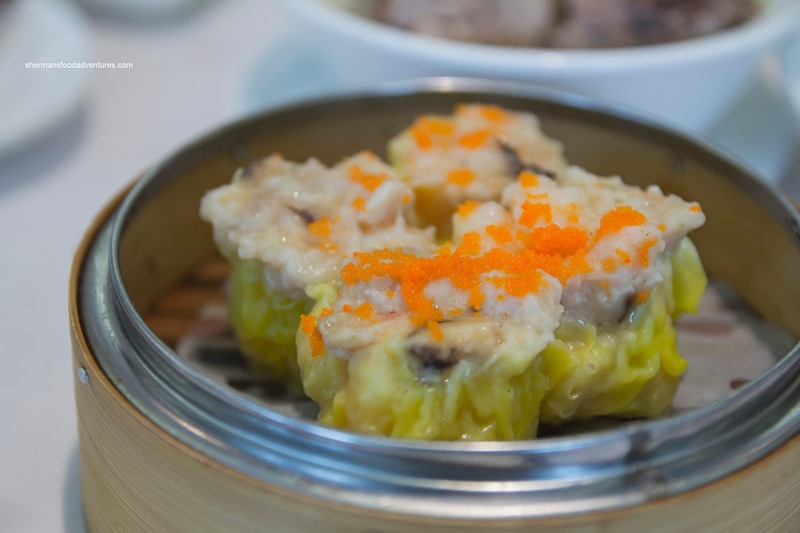 Albeit a bit expensive, it continues to offer up some of the best Dim Sum in town at its price point.